The Brown Turkey Fig one of the easiest fig trees to grow in warmer regions, and also one of the easiest fruit trees to grow in pots in cooler areas. Delicious figs can be produced twice a year in good locations and nothing tastes like a tree-ripened fig. The fruit can also be easily dried in the sun or a cool oven and kept all year for eating or baking. The tree is tough, has almost no pests or diseases, is very drought-resistant and it is the most low-maintenance of all the fruit trees. You could be enjoying fresh figs within a year or two or planting this easy-to-grow tree in your garden. The Brown Turkey Fig is easy to grow in any sunny spot. It thrives in poor, dry soil, and once it is established it is very drought resistant. It is usually free of any pests or diseases, and very easy to grow. It will grow outdoors in the open in zones 8 and 9. In zone 7 and sheltered parts of zone 6 it is best grown across a south-facing wall. In colder zones it should be grown in a pot and protected from freezing in winter. You do not even need a bright place to store the tree over winter in a pot as the tree is dormant and needs not light at that time. The fig is an unusual fruit because once picked from the tree it will stop ripening. Unfortunately, un-ripe figs have very little taste and yet for commercial transport and sale they must be picked before fully ripe to avoid rotting. So, if you have only eaten store-bought figs, you may have no idea how amazingly good a tree-ripened fig can be. The solution is to grow your own – and luckily, fig trees are one of the easiest fruit trees to grow. They can be grown outdoors in zones 7 to 9, and in colder areas they can easily be grown in a pot. A fig tree will grow well even in poorer soil and will actually fruit better in poor soil with restricted roots. The plant has no serious pests or diseases, so it is an ideal choice for the gardener with little time for complicated plant care. It is also very drought resistant is not even usually eaten by deer. 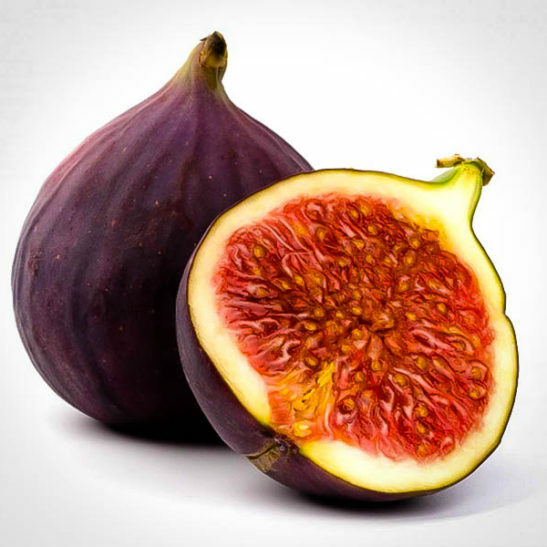 The fig (Ficus carica) originated in the Middle-East and is believed to have been cultivated for 6,000 years, making it perhaps the oldest fruit tree in cultivation. It makes a tree around 15 feet in height and as much across if not pruned and trained. In all but the warmest areas it is best to grow your fig tree against a south-facing wall and spread the branches out against the wall to get the maximum heat possible. 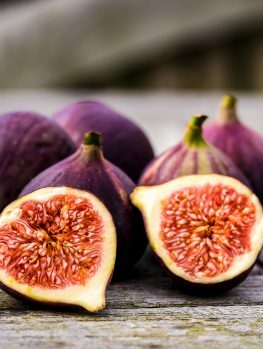 If you live in areas that have quite high rainfall, plant your fig in a box made of paving slabs at the foot of a wall so as to restrict the roots and keep the soil dryer. Too much water will produce leaves but not so much fruit. 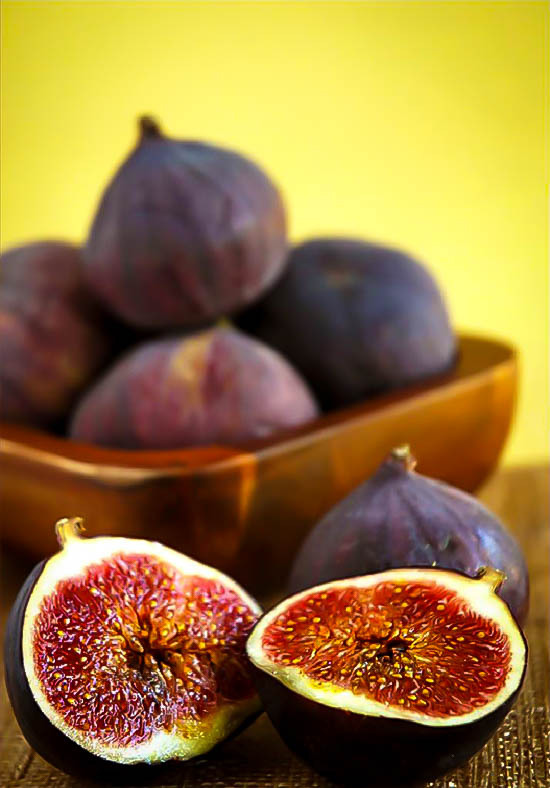 Figs can potentially produce fruit twice a year and in hot, dry regions you can expect to harvest figs in summer and again in fall. In cooler areas the fall crop may not have time to ripen if your tree is not in full sun. In areas with long winters the summer harvest may be damaged by spring cold and only the fall crop will be produced. That is why they should be grown against a wall in cooler areas to give that fall crop a chance to ripen. 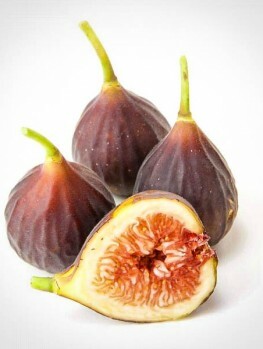 Your figs are ready to pick when they have turned purple/brown and the small stem connecting them to the branch collapses. Pick a sun-warmed fig, bite into it and enjoy a taste made in heaven. 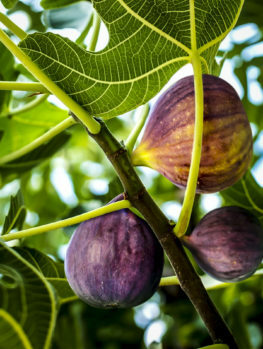 The fig tree is a handsome tree with smooth gray bark and large, lobed leaves that can be 10 inches long. The tree is attractive and would be worth growing even if it did not produce those delicious fruits. Flowers are not seen, since the fruit is most unusual, being actually a kind of hollow stem with the flowers inside. Wild figs need a special minute wasp to pollinate these hidden flowers, but the Brown Turkey Fig is one of the fig varieties that will produce fruit without pollination. These are even better eating than pollinated figs, since they do not have the crunchy seeds in them. 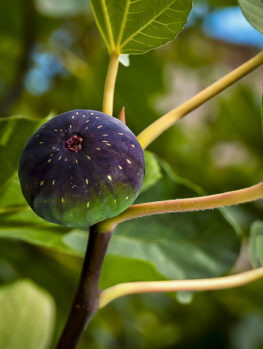 If you live in cooler regions you can still grow the Brown Turkey Fig tree in a pot and figs are ideal plants for pots. The Brown Turkey Fig can be grown in a large pot, where it will live happily for many years, and placed in the warmest, sunniest part of your garden. If it can be placed against a warm wall that is even better and the branches can be temporarily spread out. During the growing season, water the pot thoroughly once the soil has dried and use a low-nitrogen liquid fertilizer from time to time. Do not over-feed. In fall, after the leaves fall and before any serious frost occurs, bring your tree into a cold place that will not fall below 100F. As the tree is now dormant it does not need any light, so a shed or garage will be fine. Just water enough to stop your plant from becoming completely dry. As soon as the weather is warmer and the danger of hard frost has passed, bring your plant back outside to its sunny spot. It will soon re-sprout and start to grow again. If you want to try growing a fig outdoors in zones 5 and 6, the Chicago Hardy Fig is especially developed for cold regions. To plant your Brown Turkey Fig, choose a sunny spot and add a little organic material to give your tree a good start. Dig a hole twice as wide as the pot and place your tree in the hole at the same depth it was in the pot. Return most of the soil, firm it down around the root-ball and water well. Once the soil has drained away, replace the rest of the soil. Mulch should only be used in very hot and dry areas as the soil should not be kept too damp. 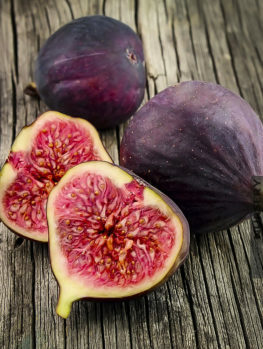 The Brown Turkey Fig is a special variety of fig suited for cooler regions as well as hot locations, so it must be produced from plants guaranteed to be the correct variety. Our trees are produced the correct way from stem pieces of these trees, so beware of cheaper plants that can be seedling trees that will not be the correct variety and will only be a disappointment. Our trees are true to the original form of the Brown Turkey Fig and we constantly receive new plants so we ship to our customers the freshest plants available. However this variety is very popular and may be in short supply, so order now to avoid being disappointed.